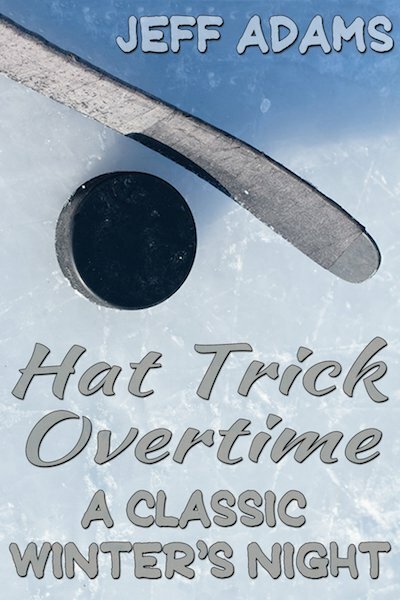 Continuing the adventures of Simon and Alex from the best-selling book, Hat Trick, this free story follows the boys into college. They have settled into their freshman year playing hockey for the University of Michigan. After an outdoor game in Detroit, the two break away from their teammates to enjoy time alone under the magical Christmas lights. Yes, we’d just lost in overtime to Western Michigan in the semis of the Great Lakes Invitational. But we’d played the game outside at Detroit’s Comerica Park. The team was a mix of emotions, shifting between the disappointment of the loss and the thrill of GLI moving outside as part of the events around the NHL Winter Classic. As Alex and I departed the stadium with our teammates, my excitement was hard to contain. I was somewhere between walking and bouncing as we headed out into the crisp night.